With strong roots in the region, we have built our practice in Calgary to execute corporate transactions for clients with the skill, bench strength and superior service that are a hallmark of Torys. Torys has long had a reputation for innovation and skill, and in Calgary we have assembled a leading team of lawyers with the entrepreneurial focus and experience to stay ahead of the pack in the city's fast-paced corporate landscape. In Calgary we guide clients through complex matters that span jurisdictions, countries and time zones. Along with a significant presence in the Canadian market, we have clients in China, India, Russia, the Middle East, South Africa and Latin America. Our history working with local counsel around the world has grown a durable foundation of region-specific networks and knowledge. We are proud of how we deliver our work—and we are proud that more than a third of our work is for clients who have been with us for over 20 years. Because we take the time and effort to truly know our clients, we can bring them custom-built teams armed with the experience and skills to get the job done. Our Calgary team has the creative acumen to realize your deal’s full potential. Our teams—across all our practice areas—are known for helping our clients innovate to maximize the opportunities in their most important work. Torys' Oil and Gas Practice has a sophisticated perspective on oil and gas with sharp attention to the developments that drive the industry. From exploration and production to processing and transportation, we provide pragmatic advice to our oil and gas clients in upstream, midstream and downstream markets in their most significant domestic and international oil and gas matters. Our market-leading team partners with clients on their upstream onshore and off-shore oil and gas activities. We provide advice on all aspects of upstream M&A, including purchase and sale agreements, development agreements, joint operating agreements, marketing agreements, and tax partnership agreements. We have also worked with oil field services companies on some of their most significant and challenging engagements. We assist clients with their midstream projects, including acquisitions and dispositions, construction of pipelines, transportation agreements, development of LNG projects and related infrastructure, gas storage disputes, and all related commercial, environmental and regulatory matters affecting oil and gas players in the midstream. Our Oil and Gas Practice represents clients in the construction, development and financing of various types of refining and petrochemical facilities and energy trading matters, including long-term production sales and purchases, through spot and short-term trades, to financial trades and derivative contracts. We act for our clients across the full range of issues affecting downstream activities, from environmental to regulatory, to litigation and dispute resolution. Combining the latest market insights with expertise in traditional and ground-breaking cross-border transactions in all major industrial sectors, our Capital Markets practice is at the forefront of the industry. 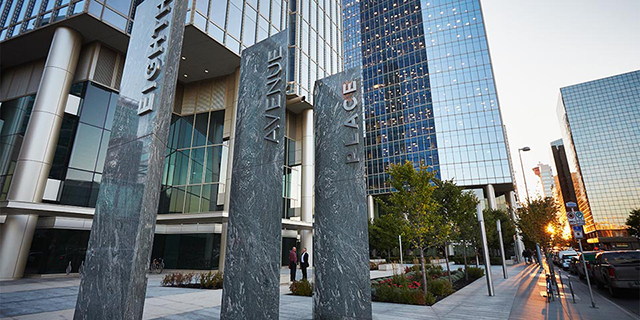 The unique experience of our Calgary office provides our clients with targeted insight into key industry sectors, including Canada's thriving global oil and gas markets. Torys' M&A Practice is known for its experience in sophisticated, innovative transactions. We advise on high-profile transactions as well as deals for small and mid-sized companies. We provide seamless cross-border M&A services to clients in the United States and Canada. We have expertise in corporate and securities law and litigation, competition and antitrust law, tax law, foreign investment and regulatory matters (including stock exchange requirements), and employment, pension and benefits issues. As one of the world's major energy centres, Calgary is a base of operation for international financial institutions. We have extensive experience advising corporate clients and financial institutions on a wide range of financing transactions, including project financing, syndicated bank transactions, bond financings, cross-border financings, acquisition financings and asset- and reserve-based lending. We also advise a wide range of industries and have particular expertise advising on financings in the oil and gas, oil sands, pipeline, energy services and renewable power sectors. With one of the most high-profile cross-border practices in Canada, Torys has a long history of working closely with foreign and domestic private equity investors on both sides of the border. Torys' Private Equity Practice offers best-in-class advice and services in the successful structuring and completion of private equity transactions.